COLONIE — It is a tragedy as inspiring as it is sad. 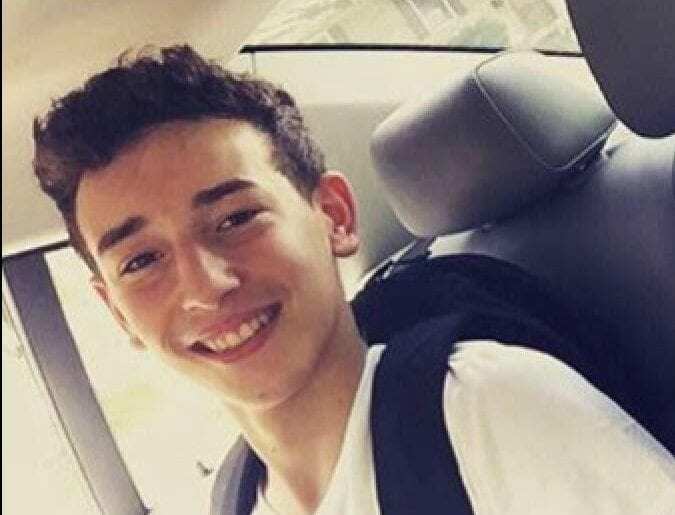 Five months after Niko DiNovo succumbed to injuries sustained in a 2016 car crash, his family wants to keep his memory alive by helping others by establishing a foundation in the teen’s name. The foundation is in its early stages but once formed will have four primary benefactors: The Ronald McDonald House of the Greater Hudson Valley, where the family stayed for 508 days, the Ronald McDonald House of Albany, the Hank Longo Burn Center at Westchester Medical Center and Burn Care Everywhere. The first main fundraiser, a five-on-five flag football tournament, will take place this Sunday from 9 a.m. to 6 p.m. at Schenectady High School. It will feature some 50 teams in four divisions — men, coed, youth and linemen — of between seven and 10 players and have activities for the entire family. Niko’s, a deli on Albany Shaker Road operated by the teen’s Aunt Davina Resciniti, will handle the concessions. Last year, the tournament, run by Frank Rogers from All American Sports, raised some $15,000 but at the time, the money was spent to help the family stay in Westchester, travel back and forth and for Niko’s ongoing, extensive treatment that included 26 surgeries. Click here to view a slideshow of last year’s tournament. Niko DiNovo would have turned 18 on Aug. 30. The foundation is a start, they said, and plans are to make the flag football tournament an annual event — and make it one of the largest and most prestigious tournaments in what is the very popular and even more competitive local flag football scene. It is fitting, too, because Niko DiNovo loved football. But, Alicia DiNovo said she would also like to bring the family’s story to groups of people like high school students prior to prom night or DWI victim impact panels to maybe prevent another family from going through what she still struggles with. Prevention is ideal, but she also wants to help other families who find themselves in the same, often times overwhelming, emotional, exhausting situation of being in a strange hospital with a sick or injured loved one. There is no connection like someone who has been in your shoes,” she said. “I would like to talk them through what they are going through,” she said. Five months after the tight-knit family lost one of their own, they look back with smiles and tears … and sometimes a little of both. It was after his 26th surgery that Niko DiNovo took a turn for the worse. Michael DiNovo said his brother was alert and sharp until then and remembers how close he was to making it through. When he came out of surgery No. 26, Niko was confused and he was technically paralyzed. His badly damaged lungs could not heal if he couldn’t move. Doctors thought he may have suffered a degree of brain damage in the accident but there was no way to be sure because he had too many staples in his body. How bad he was injured most people can think about but really cannot imagine, the family said. Niko died on March 19. The driver of the vehicle that slammed into Blessings Tavern, Michael Carr, is now serving six years in prison after admitting he was under the influence while behind the wheel. Throughout, the family has been overwhelmed with the community’s support and apologizes for all those they did not get a chance to thank personally. In many ways, they are still coming to grips with what is unfathomable to most. Alicia DiNovo said she still has some rough days and relies on her children and family to help her through. Resciniti said watching Niko fight for 508 days makes life’s everyday hardships seem trivial at most. That effort will take a big leap forward on Sunday, Aug. 19, when players from all over the Capital District will lace up their spikes in memory of Niko. And, win or lose, help out the next family who needs it. Anyone who wants to play or sponsor a team can call (518) 588-2102 or email tobinr@alum.rpi.edu.